Well, this was one brunch for which it was worth being snowed-in. 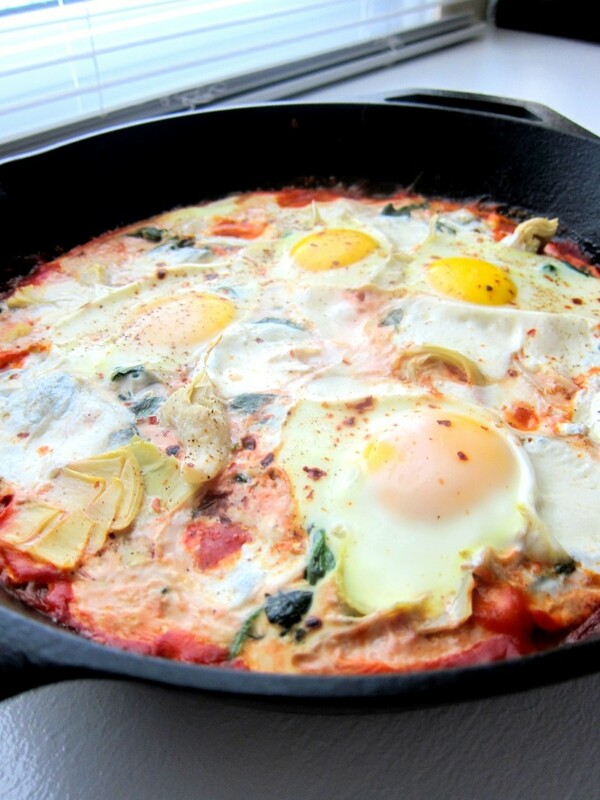 I love baked eggs! When the weather forecasters started predicting a blizzard for the DC area, I began planning out what I would make for breakfast on Saturday. See, Saturday was the day they were calling for the worst of it. So, I guess I thought if we were going to be completely stuck in the house, we would at least eat like kings. First, I thought I’d do homemade cinnamon buns, but I didn’t really want 16 cinnamon buns sitting in my house while I wouldn’t be able to get outside to exercise (shoveling doesn’t count – ok it does count; I just didn’t wants all of those sticky buns in my house). Then I thought maybe I’d made a Dutch Baby. I’ve made them before, and they’re always delicious. But I couldn’t think of a good topping for it. I didn’t want to do anything with apples–too autumn. I didn’t want to do lemons, or strawberries, or peaches, either–to spring/summer. So, what would work for the perfect “snowed-in-the-house-and-not-getting-out-for-days” flavor? I couldn’t think of anything. So I went on pinterest for inspiration. I love baked egg dishes, and I figured if we lost electricity–like they’re saying we might–I could still make these on the grill. Anything made in the skillet is perfectly capable of being cooked on the grill. If I could find the grill under all of the snow. Anyway, I’m so glad I made these eggs. They are one of the best things I’ve ever made for breakfast. The only thing that could have made them better was a snow blower–or a heat wave. 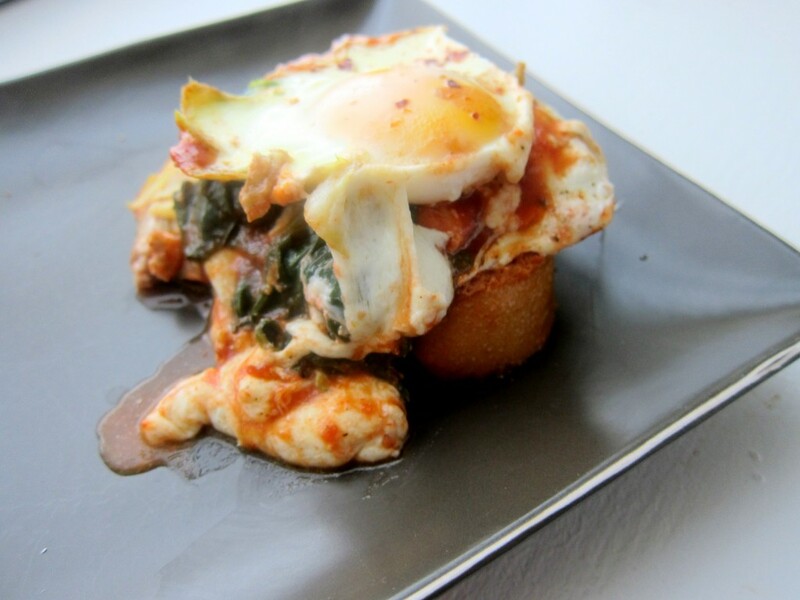 Eggs baked in tomato sauce with garlic spinach, artichoke hearts, and mozzarella cheese. Preheat over to 350*. Heat skillet on stove top. Add oil. When oil is heated, add garlic. Stir until fragrant. Add spinach, mix until wilted. Remove to a plate. Turn off stove top. 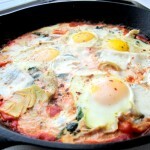 In empty skillet, add tomato sauce. Then layer spinach, artichokes and cheese on top. 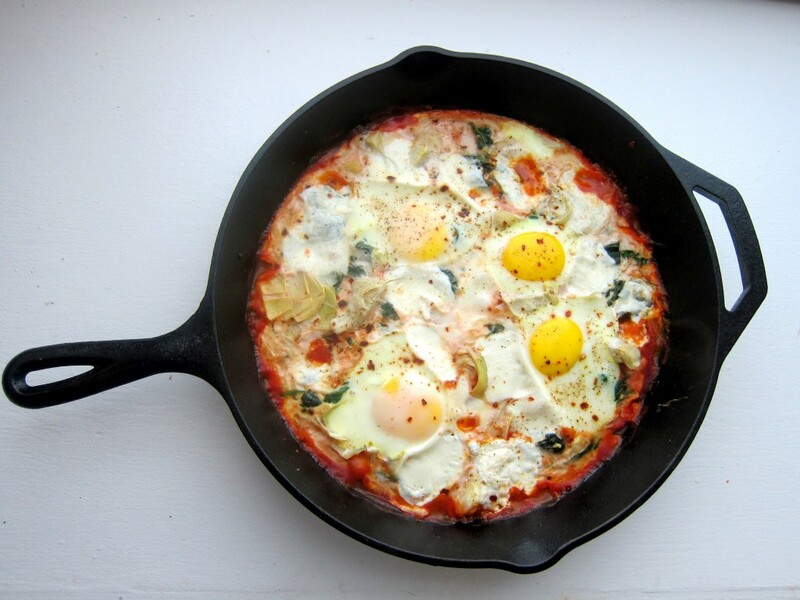 Crack eggs into the skillet. Sprinkle with red pepper flakes, salt and pepper. Bake 20 minutes (While baking, toast the bread). This week was right up my alley. Do I use too many cliches? Sorry. Sometimes they can be fun. Anyway, when this theme was announced, I knew exactly what I was going to make. See, a few years ago while I was studying for my Praxis II exam (the exam teachers have to take to prove they know their subject), I spent a lot of time reading American Literature. I read Uncle Tom’s Cabin, The Old Man and the Sea, The Great Gatsby, etc… And I loved them all. But one stuck out. The Legend of Sleepy Hollow, by Washington Irving, popped into my head right away. Why? There is an entire chapter devoted to the various foods that our protagonist, Ichabod Crane, gluttons himself upon at a party. But I also think it stuck out because it makes me long for the idyllic days of my childhood. I remember dressing up for Halloween, going trick-or-treating, and bobbing for apples – and Sleepy Hollow definitely fits the bill for “things that go along with that time of year.” The book makes me want to do those same things with my own kids. So I picked a pastry from the book that I had never heard of. I assumed it was an old pastry, brought over to the US from somewhere long, long ago. And I was right. Turns out the Dutch brought over the forerunner to the doughnut – an Oly Koek. 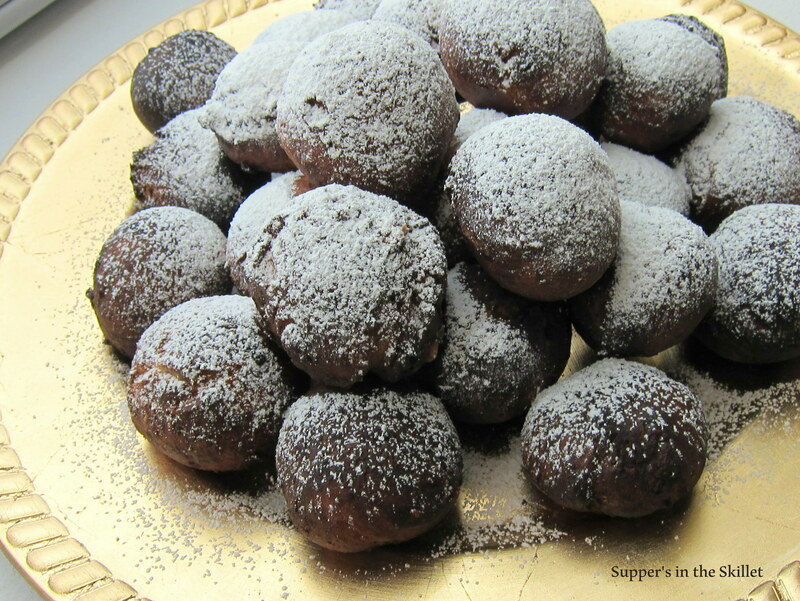 Oly Koek means “oil cake,” and as you probably guessed, they are cakes that have been fried in oil. They are the forerunner to the doughnut because there’s no hole in them. Instead, they are stuffed with dried fruits before frying. If you try to fry them without stuffing them, they burn before cooking the whole way through. By stuffing them, you end up with perfectly cooked dough and a tasty treat inside. 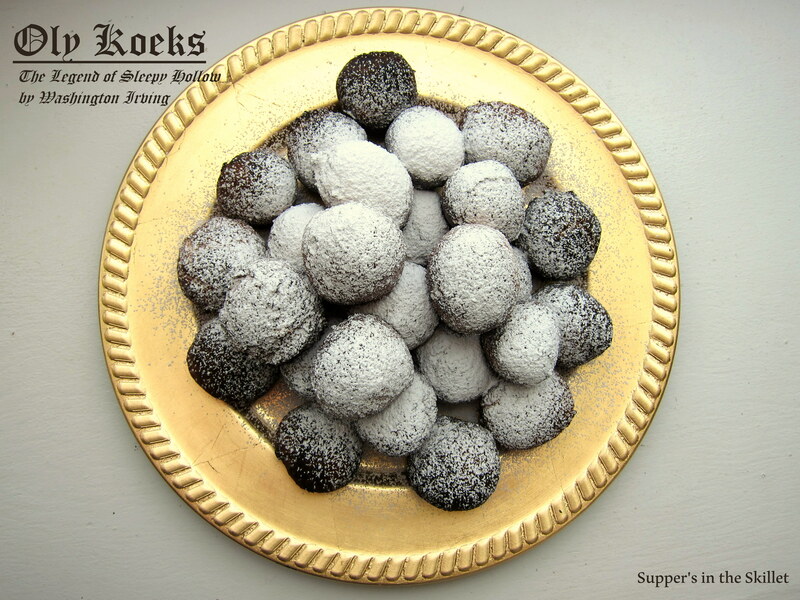 And while I had never heard of them, my friend Tina grew up eating Oly Koeks. She grew up in Michigan. I grew up in PA. I guess the Pennsylvania Dutch were a bit different from the Michigan Dutch. Anyway, these were quite the tasty treat – even if I did overcook mine just a bit. I’ll be making these again when my daughter and (eventual) future children are old enough to help me out. And we’ll eat them outside amongst the falling leaves while wearing our sweaters and scarves, reading about Ichabod, and enjoying the sweet days of childhood. Inspired by The Legend of Sleepy Hollow, Oly Koeks are deep fried dough balls stuffed with apple brandy-soaked dried fruits. Perfect for that autumn chill! Soak the dried fruit in the brandy overnight. Mix together the yeast and the water. Set aside in a warm place. Meanwhile, warm the milk and the butter. When butter is melted, remove from stove top. Place the eggs, sugar, and nutmeg in a mixing bowl and stir together. Add the yeast and mix well. 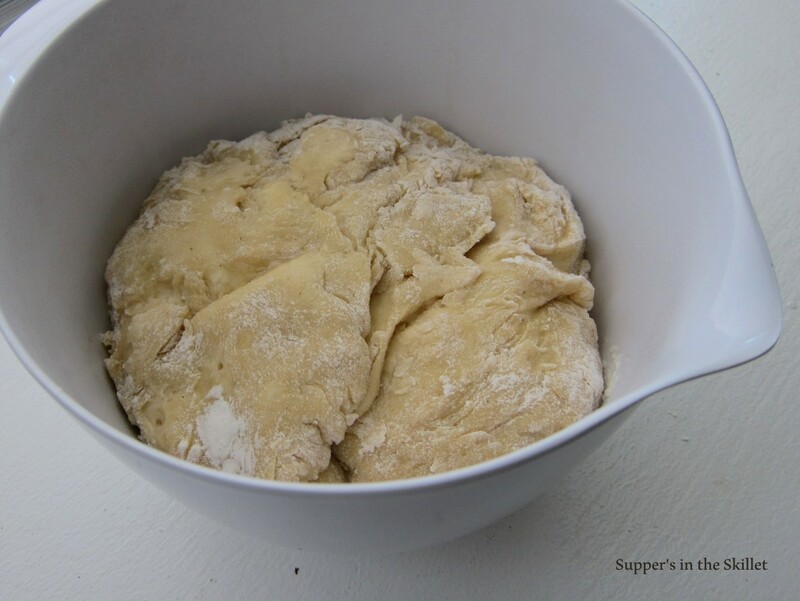 Mix in flour, a bit at a time until the mixture resembles a soft dough (not too sticky). Set aside in a warm place, cover with a wet towel, and allow to rise for 1 hour. 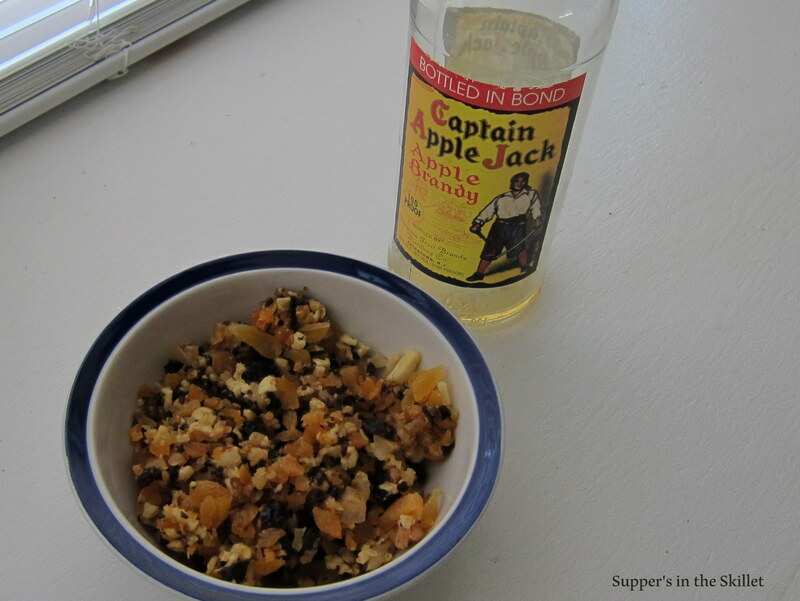 After an hour, drain brandy from fruit. 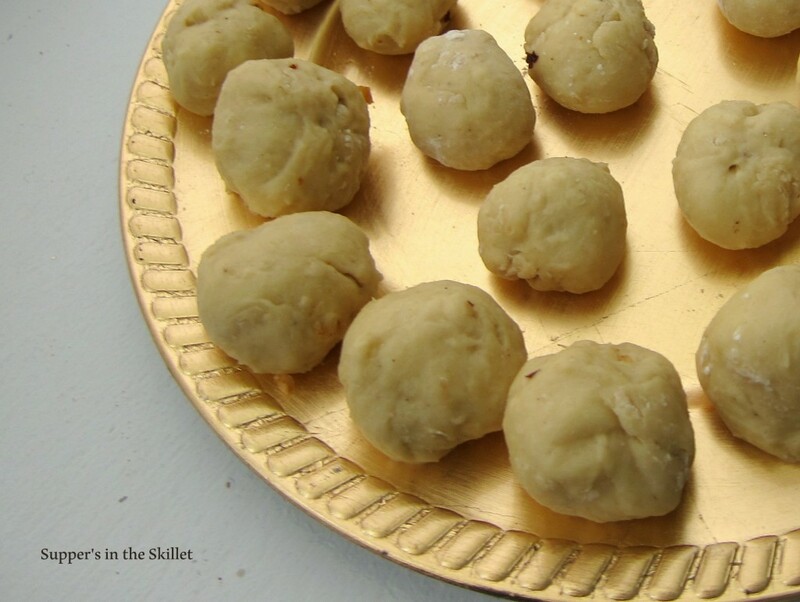 Grab an egg shaped amount of dough, roll into a ball and make a well in the middle. Stuff the dough with fruit mixture, and roll back up making sure fruit is securely covered. Drop into large pot of oil and cook until golden brown. Remove with a wooden spoon, and place on a wire rack to cool. 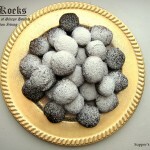 Top with powdered sugar (confectioner's). Eat. It's probably a good idea to use a candy thermometer to monitor how hot your oil is. My oil got too hot, which is why these came out a little more cooked that I would have preferred.